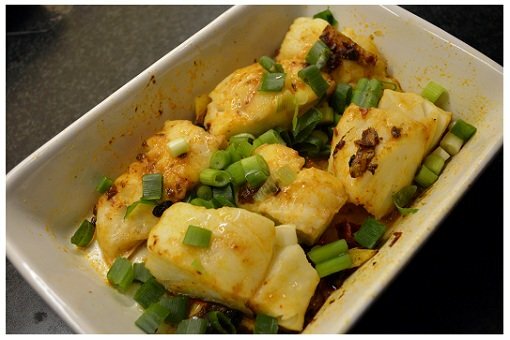 Here is a quick easy Chinese microwave oven fish recipe (cod), which is another recipe I learnt from my parents. (Scroll down for video). In this recipe I use the cod fillet, but you can apply the method to all kinds of fish. 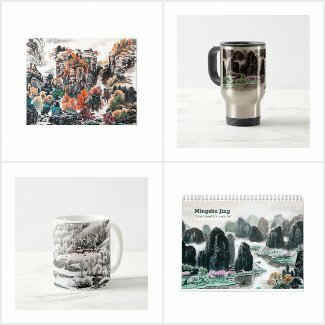 The cooking steps are very similar to other two recipes you can find from this site: Red Cooked Carp and Chinese Pan Fried Cod. The only difference is to use the microwave oven instead of frying pan or wok. I find using the microwave oven is very easy for cooking the fish, particularly for the fish like cod or salmon fillets, because they are soft and not easy to fry like we usually do in our Chinese cooking. Also because of using the microwave oven, this is much healthier than frying. 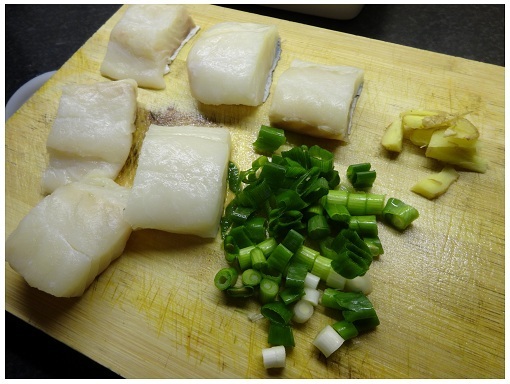 Cut cod fillet into chunks, roughly one and half inch wide. Cut ginger into thin slices and chop the spring onions. If prefer, you may use some salt and light soy sauce to marinate the fish for 5-10 minutes before cooking. 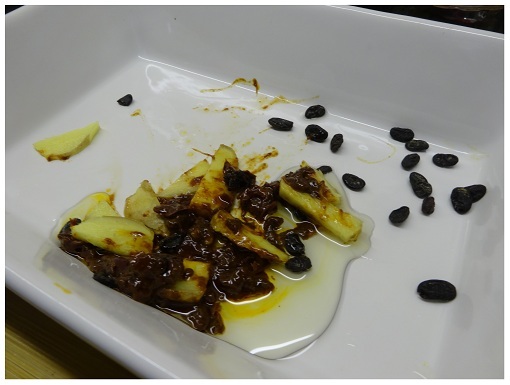 Place the ingredients (Chinese chilli bean paste, black beans and gingers) in a non-metal oven dish. Add one table spoon oil. Put the dish and ingredients in the microwave oven, covered by a lid or film, cook under the power (700 Watt) for 1-2 minutes. 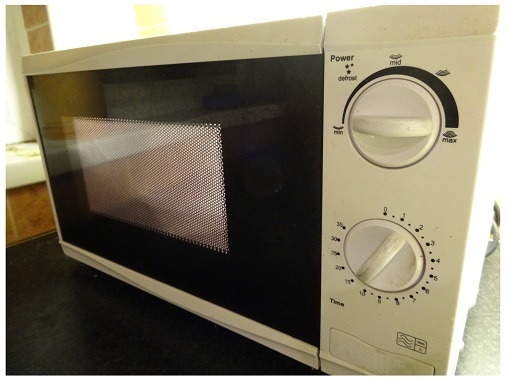 You may adjust the time according to your microwave power. 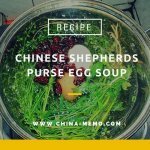 This allows the ingredients to be cooked first, which is similar like in Chinese cooking we would fry the ingredients before cooking the meat. Once the ingredients are cooked, take them out from the microwave oven. It smells nice. 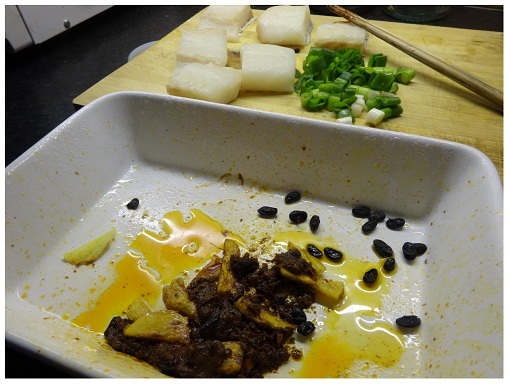 Mix the fish with the ingredients so the fish is coated by the chilli bean sauces. Put the fish into the microwave oven, coved by lid or film, under the maximum power (700 Watt) for 4-5 minutes. If you prefer the spring onions to be cooked, you may put them back to the oven to cook for one more minute. Once it is done, serve at once. You can watch the cooking video here. To see more Chinese home cooking videos, please subscribe to my Youtube Channel to get the regular update. Like this recipe and want to share with a friend in a special way. You may check the recipe card we made, which is available from our store on Zazzle. 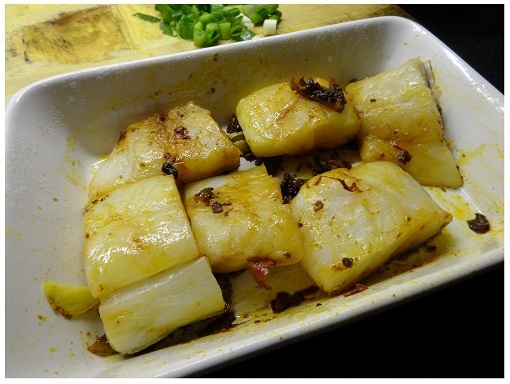 I hope you like this Chinese microwave oven fish recipe. If so, please share with others. 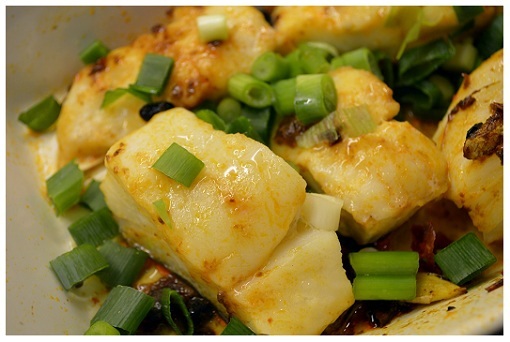 You may also like the Red Cooked Carp or Chinese style oven cooked cod, or Chinese microwave cooked eggs.